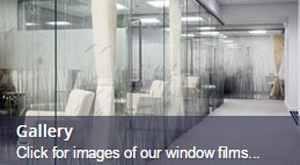 The Window Film Company have a range of literature and information that may be useful to you as you decide on your window film product. Please click on the document you require from the choice below. Each document is in PDF format and you will have the option to either save it to your computer or to open it directly from our website. If the information you require isn't available, or you need more details on any of our products or services, please contact one of the team on 01494 794477. If you require further information on any of our products or services, please do call 01494 794477, a member of the team will be happy to help.